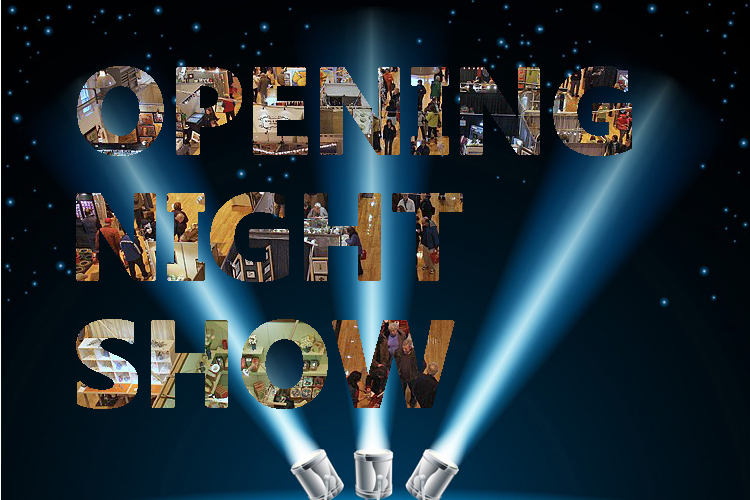 Opening Night Jitters or how to be in two places at one time. Holiday season is in full swing! Activity in the studio has been at an all time high preparing for two upcoming shows and opening night receptions. The Society of Arts and Crafts is doing something new this year at the opening reception for CraftBoston Holiday to be held at the Hynes Convention Center on Thursday, December 4 from 6-9 PM. Holidays and Highballs is the opening night event where you will select a handmade tumbler from an array of styles and materials to use and take home at the end of the evening. You are then invited to stop by the CraftBoston Bar to fill your new piece with a retro-inspired highball cocktail. Sip, schmooze, and shop to the sounds of classic 45s as you preview the newest and finest contemporary craft by over 175 artists. And here’s the part about being in two places at one time… The opening night reception for the Foundry Artists Annual Holiday show is also Thursday, December 4 from 5-9 PM. There will be refreshments and live holiday music from John Juxo and Otis Read. Once again they will be collecting non-perishable food items for the Rhode Island Food Bank, so bring a can or two and share the holiday spirit! Start making your holiday shopping list and be sure to stop by both CraftBoston Holiday and the Foundry Artists Holiday Show to support artists and buy handmade. For the past several weeks the studio has been buzzing. In preparation for our last two shows of the year BabyBots, JunkYard Dogs and JunkHeads have been marching out of the studio…but not before they get photographed. Take this Temt’n Eggs JunkHead. It takes a lot of magic to make these guys stand up long enough for their glamour shot. Eventually we get a good shot. You can go see lots of our glamour shots on our Etsy store. Or if you prefer to see things in 3D you can visit either The Foundry Artists Holiday Show in Pawtucket, RI or stop by booth 503 at CraftBoston Holiday at the Cyclorama in Boston’s South End. If you haven’t finished your holiday shopping yet (don’t feel badly, we haven’t either) we encourage everyone to support artists and buy handmade for the holidays. We wish all our friends and family a wonderful Thanksgiving. Dust off that holiday gift list because Small Business Saturday is almost here. Come Shop Small with us. ArtHeadStudio.Etsy.com and get a 5% discount on Saturday by using coupon code LucyRose. Patrick Hamilton, of Ask Patrick, has made a list of 20 of his talented friends who may be able to help you wrap up your holiday shopping. We feel honored to be included in the list. Eric Barclay, the illustrator who created the image above is also included in the list. If you are in the New York City area and need a ridiculously talented designer, Patrick is your guy. Happy Holidays and thanks phamilto! Yesterday we introduced you to Ginger. Today you get to meet Mr. Coleman. It’s getting down to the wire to wrap up holiday shopping. Why not avoid the crowds at the mall and shop handmade instead. This weekend see Mr. Coleman in person at CraftBoston Holiday at the Cyclorama (we are in booth #507) and if you have time just a few blocks away check out SOWA Holiday Market at the Cathedral High School Gym. In the Providence, RI area check out the Foundry Artists Show at the Pawtucket Armory and if you have time go to the 10th Annual Craftland Show in downtown Providence. Both shows in the Providence area have free parking and all purchases are TAX FREE! I guarantee if you go to any of these shows you will not be disappointed. And you are sure to find gifts for everyone on your list. And you get the added bonus of meeting the artists. Mr. Coleman thanks you for supporting local artists and buying handmade. 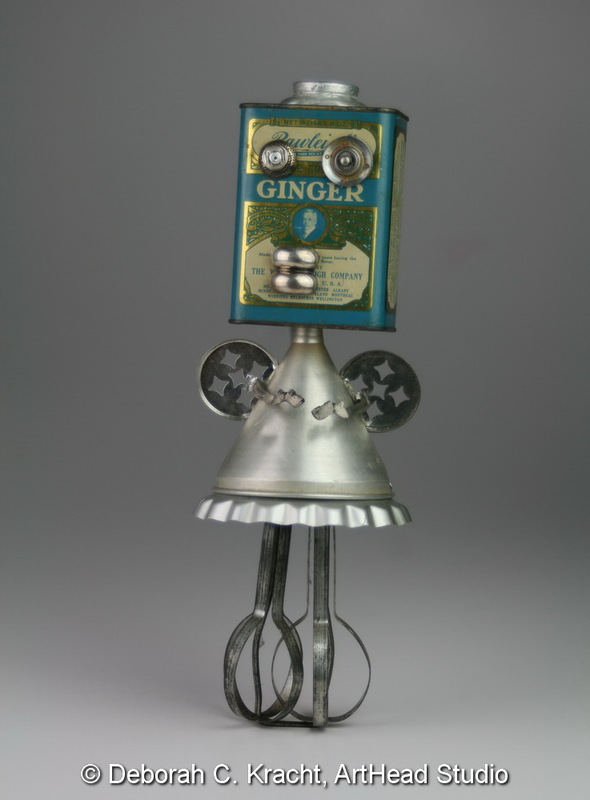 Ginger is making her debut at the CraftBoston Holiday Preview Party tonight from 6-9PM at the Boston Cyclorama. Be sure to look for the CRAFT Under $100 logo around the show to find hundreds of items under $100! With CRAFT Under $100 everyone can afford to bring craft home without breaking the bank!